Today, my sweet friend Kim from Today’s Creative Blog is sharing how she made her own DIY Mercury Glass. Sparkle, shimmer, shine with out all the expense of real Mercury Glass . Kim’s step by step tutorial shows a simple and affordable method for transforming any piece of glass into a beautiful decor update with an antiqued mercury glass style finish. I’m letting her take the reins here on TidyMom while we’re moving to our new house! 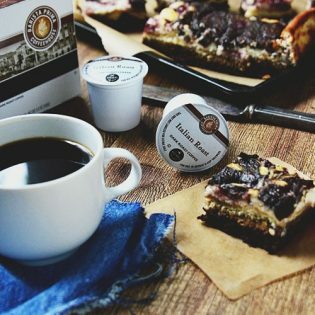 While Cheryl is busy packing and moving across town, I thought I’d pop in from Today’s Creative Blog and share with you one of my latest obsessions. 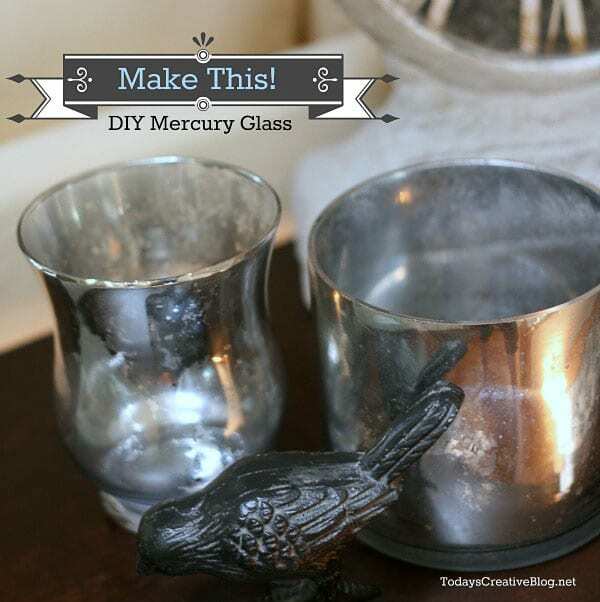 DIY Mercury Glass. I love it! I never get tired of it. That aged, vintage and rustic look adds instant style into any room in my opinion. But dang……it can be expensive if you want anything bigger than a candle votive. I was determined to figure out how to create a few pieces myself. After scouring the internet for different ways to achieve this look, I set out to make my own DIY Mercury Glass. I even shared this technique on my monthly TV segment here in Portland Oregon because I think everyone needs mercury glass somewhere. 1. Looking Glass Spray Paint – I looked high and low for this stuff and couldn’t find it anywhere! I ended up buying off Amazon. The can is smaller than I thought and I should have bought 2 since I plan on spraying everything in my range. 2. Solution: Mix equal parts apple cider vinegar and water into a fine misting spray bottle. 4. Once your vase is dry, mist the spray painted area with a light mist of the vinegar solution. 5. Using a cotton rag, gently blot to achieve the distressed look you’re wanting. I made the mistake of using a terry cloth rag at first and it left terry cloth marks. 6. 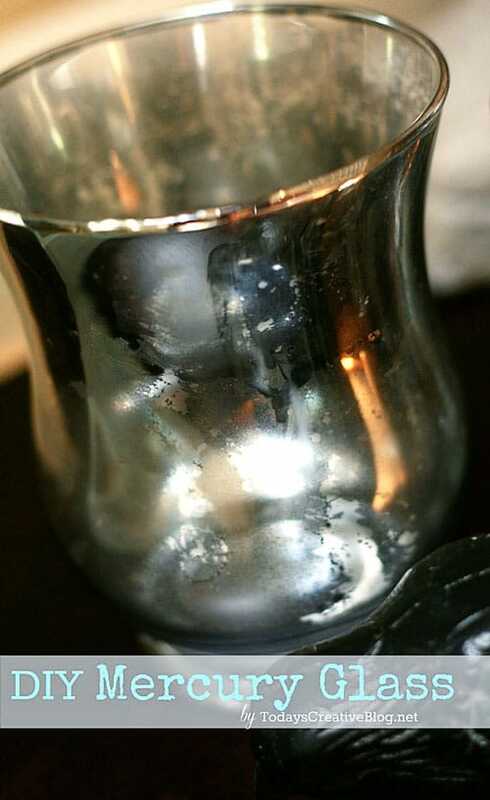 Enjoy your new DIY Mercury Glass and try not to brag to all your friends that you made this………..oh who am I kidding? Tell everyone! 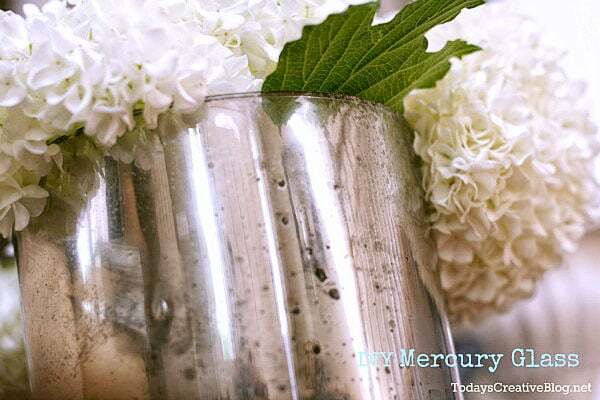 Have you ever tried making your own Mercury Glass? This is so cool Kim! Can’t wait to try it! Yippee! I was just looking at the stack of cool glass bottle out in my garage and wondering what I could do with them (before my husband goes crazy!) Now I know what to do! I can’t wait to give it a try. Thanks for the easy tutorial. I love making my own mercury glass – and it’s very addictive too! 🙂 Yours turned out beautifully, Kim! Cheryl, good luck with the move! So tiring but exciting. Can’t wait to see pics. Thanks for the tutorial Kim! 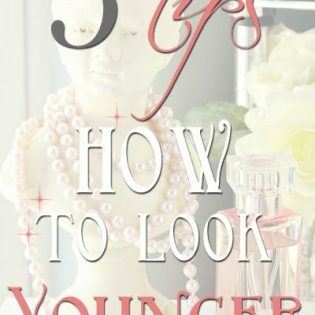 I’m into the vintage thing, so this is definitely up my alley! Good luck with the move Cheryl! i love mercury glass! those vases are beautiful, Kim. I love the look of mercury glass – thanks so much for showing us how to do this! hmm. wondering how the light globes on the ceiling fans would look done in this? Well, this is the coolest thing ever! 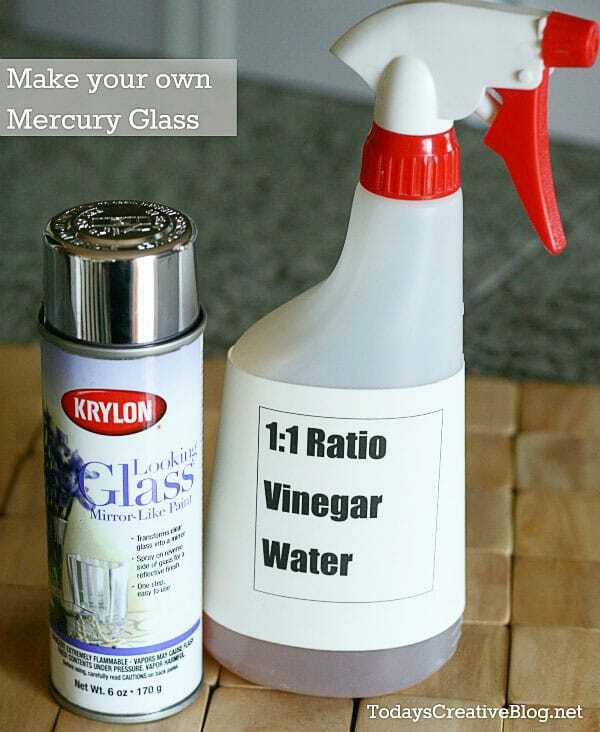 My sister and I were just talking about Mercury Glass yesterday…THANKS for the DIY instructions…can’t wait to try this!! Also just found the Southwestern Eggs recipe…can you say “Girl’s Brunch”!?!?! Yummy! vases for my daughter’s wedding. Will the finish hold up if water is put into vase? I’m wondering if you’ve tried this on wood? I have a small wood table that is beat up and I wanted to sand it a bit and then try this technique on it. Thanks. This looks like it would be so much fun to try out! 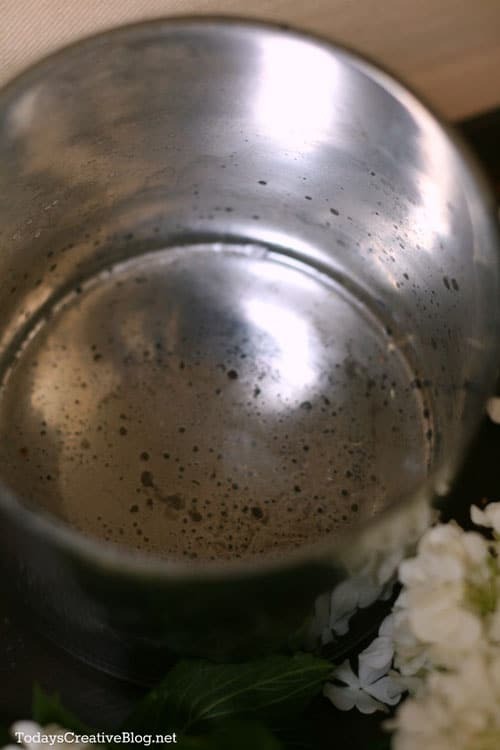 Can you use regular white vinegar, or does it have to be the apple cider vinegar? I have seen the looking glass paint at Home Depot!